How stunning is this superb new designer style?! Bouncy body, volume and a timeless elegance - It's ravishing from root to tip! 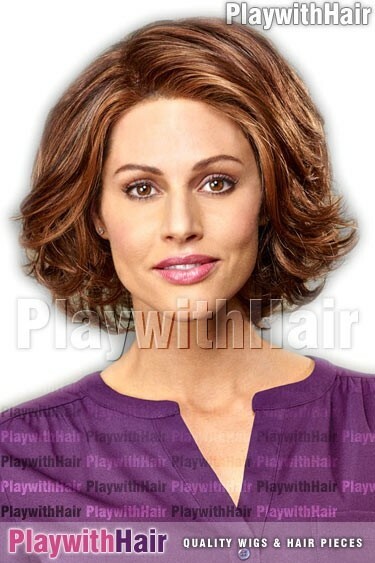 The premium synthetic fibers are so lovely to touch, and the wig keeps it's fabulous style even in hot weather. So easy to wear and look amazing in - If you're looking for a new tousled style, this is IT! 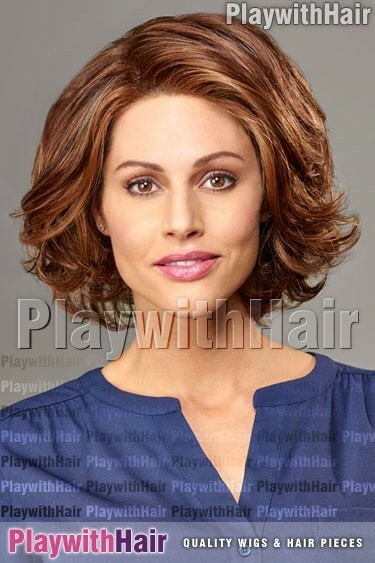 The top of this beautiful wig has a monofilament base, meaning you can style it any way you like on the top and you get a natural appearance when you look down into the hair, along with a much lighter and breathable wear! 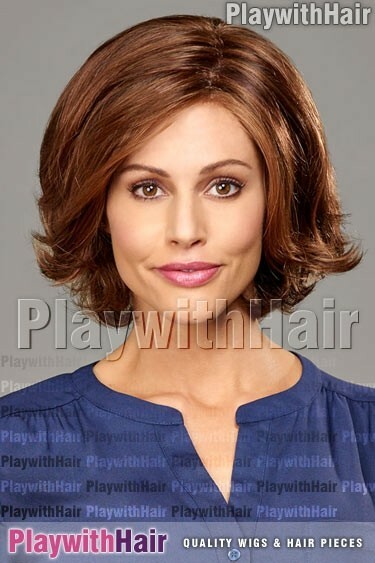 This expertly created designer wig has a soft and easy to wear adjustable Average Size cap, for a snug all-day wear that feels as great as it looks!